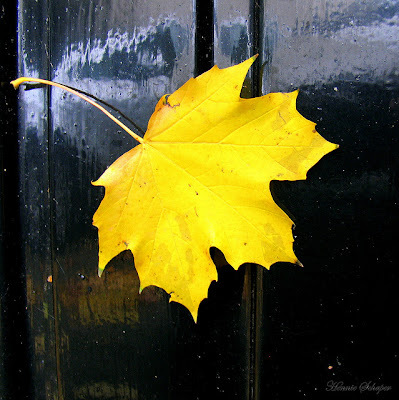 A chance snapshot: I came across this beautiful yellow autumn leaf clinging to our garage door. It did not last long. I love the contrast between the leaf and the metallic underground of the door.